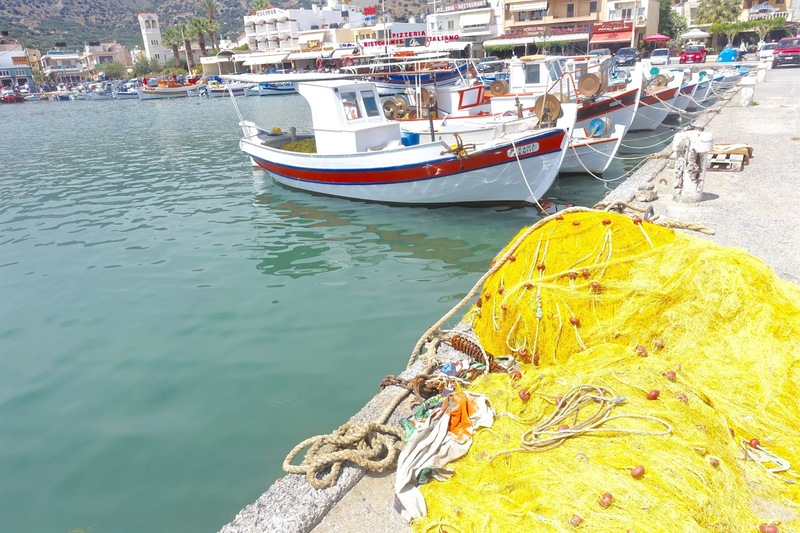 Elounda, is a picturesque fishing village in lovely Mirabello Bay and nowadays attracts people far and wide looking for a seaside holiday in a place which is ideally not too busy, nor too isolated. 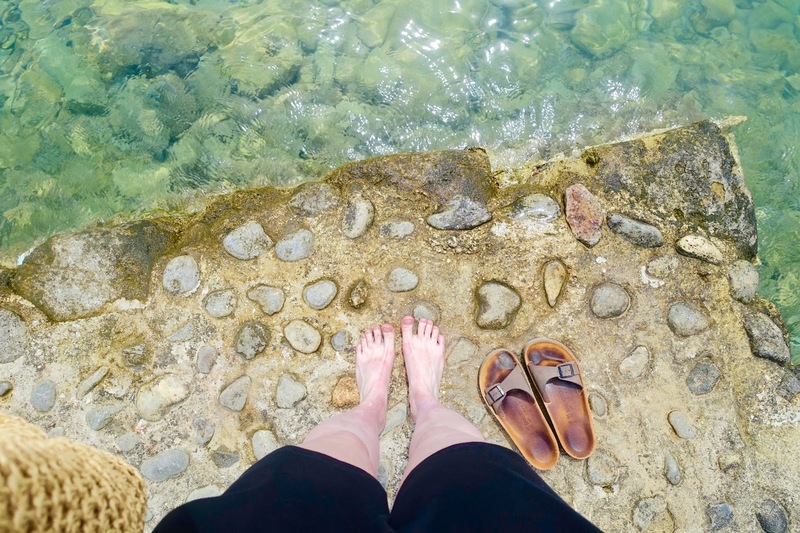 With a spectacular coastline, shaded beaches, crystal clear seas and archeological interest, there's plenty here for all types of travel-goers. 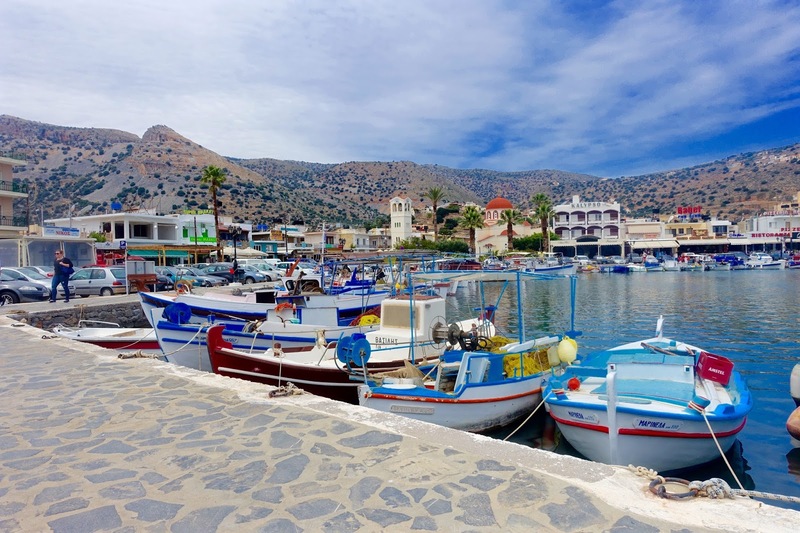 This pretty little seasside town is located on Crete's northwestern coast. It's an up and coming luxury retreat that revolves around a colourful harbour and the main square just next door. Elounda is packed with authentic Greek tavernas and friendly bars eagerly awaiting your arrival. 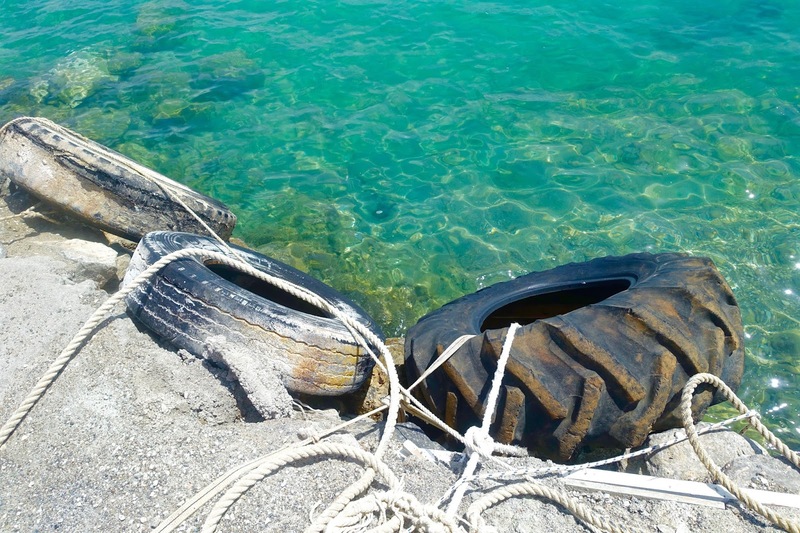 When staying at the Elounda Village Hotel we were a brisk 45 minute walk away from Elounda's harbour. The walk was quite uphill in places, however Crete as an island is rather hilly so you need to expect some uneven walks! 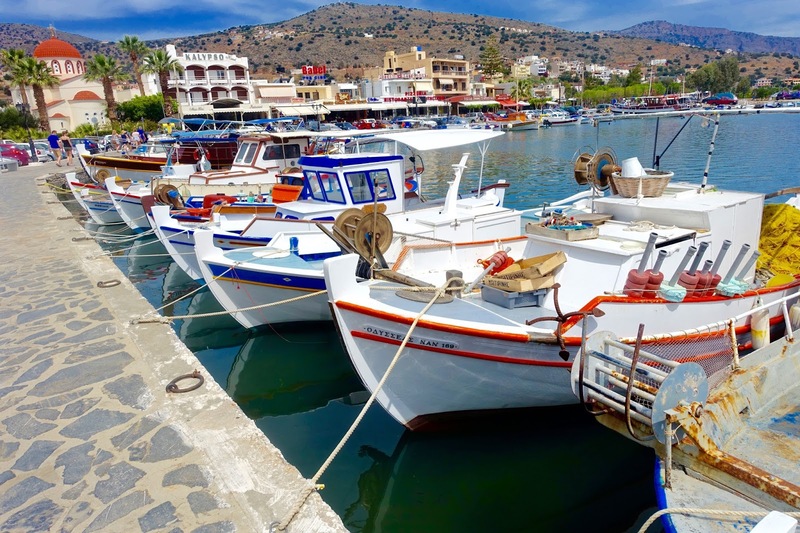 We learnt that all of the 4-5* hotels located in Elounda are all located about 30-45 minutes walk away from the Harbour itself as they are all scattered across the Cretan mountains overlooking the beautiful, crystal clear bays. 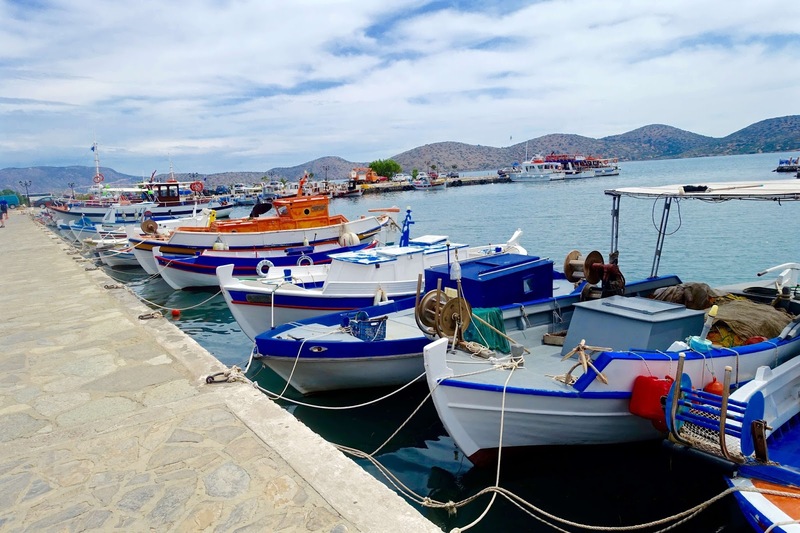 Elounda's harbour is known as the "Gult of Korfos" and is a natural, blue lagoon which is bordered by rugged peninsulas and the sandy beach looks out onto the island of Spinalonga, sheltered close by. 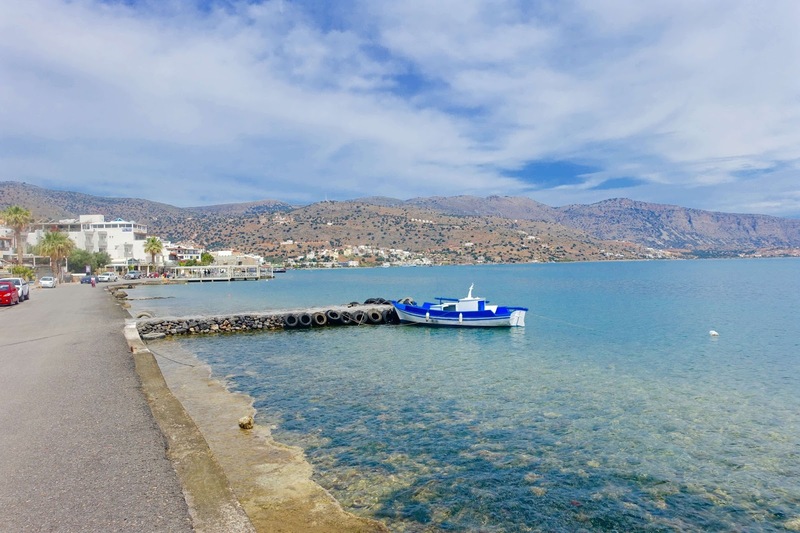 It can be quite a lively spot, but nothing unspoilt, but if you want more action there is Agios Nikoloas just a mere 15 minute drive away. We chose to wander down on a sunny friday morning, taking the brief hills in our stride. 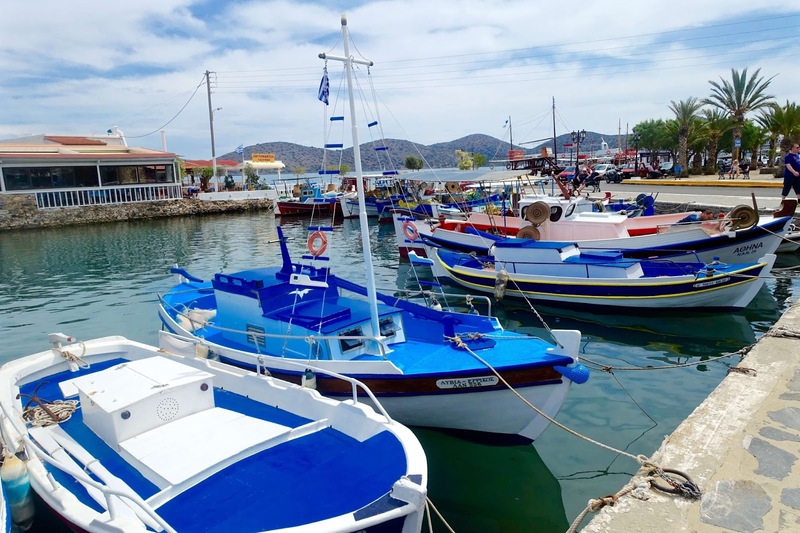 We spotted a beautiful Taverna on the waterfront, nestled in the heart of the bay, where all the boats were moored (unfortunately I really can't remember the name). 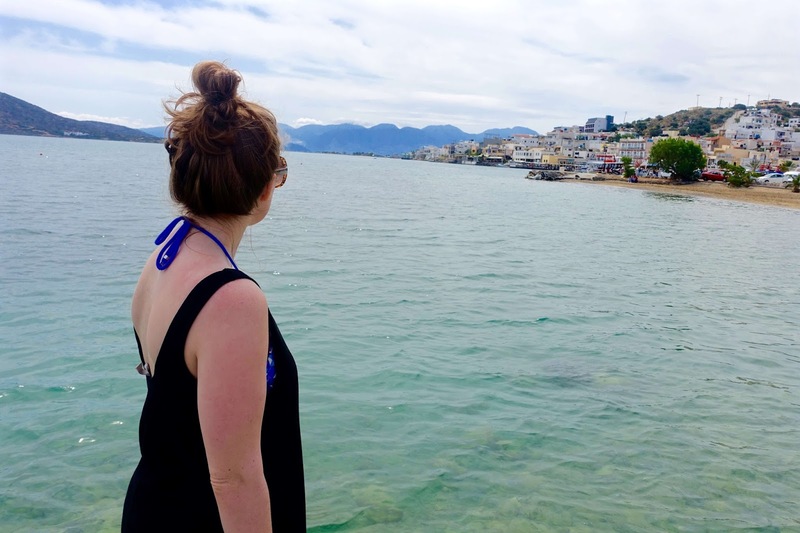 Some part of me is convinced its simply called the Taverna and its almost like a floating restaurant bobbing on the water, with enviable views across the beautiful bay and the perfect spot for alfresco dining by the glistening waters edge. We sat here for quite a while just taking in the scenery and enjoying the peaceful buzz of market day. We devoured a lovely pizza here, made with the freshest ingredients; most importantly the most amazing melt-in-your-mouth, gooey mozzarella! We finished off with a walk among the cobbled, narrow streets, littered with cute little shops left right and centre. I couldn't help but steal away into one of the local touristy shops and ended up purchasing some cute friendships bracelets as a souvenir from my Cretan travels. 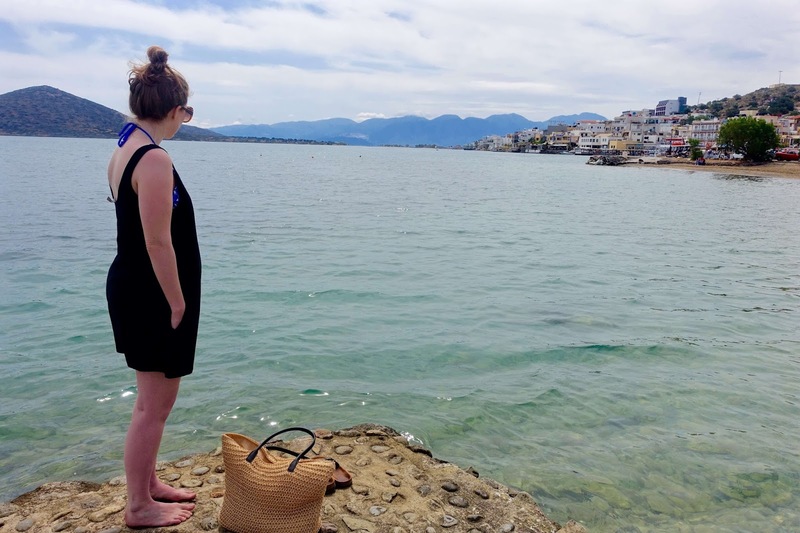 For more information on where to stay in Elounda, see my blog post on my stay at the Aquila Elounda Village Hotel in Crete. 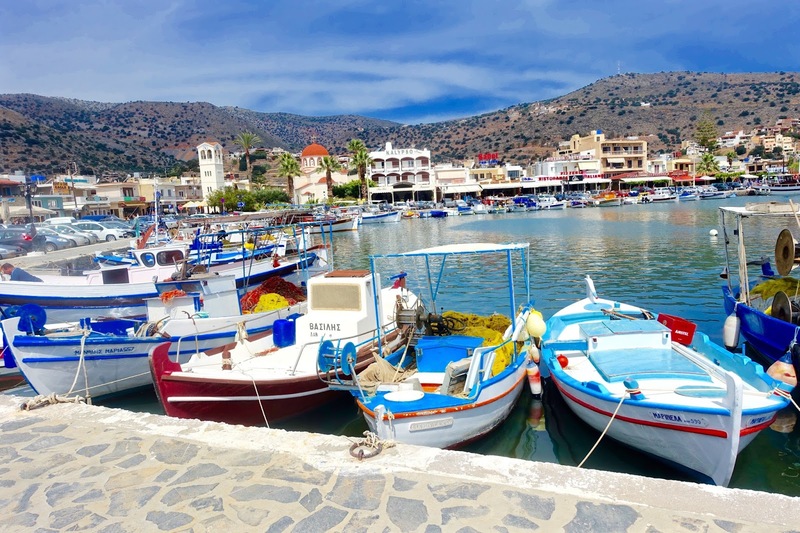 We holiday in Elounda twice every year and agree with you that it is the perfect holiday destination if you want a buzzing but not rowdy atmosphere. Extremely friendly locals, brilliant selection of bars and tavernas and plenty of place to walk to and explore.